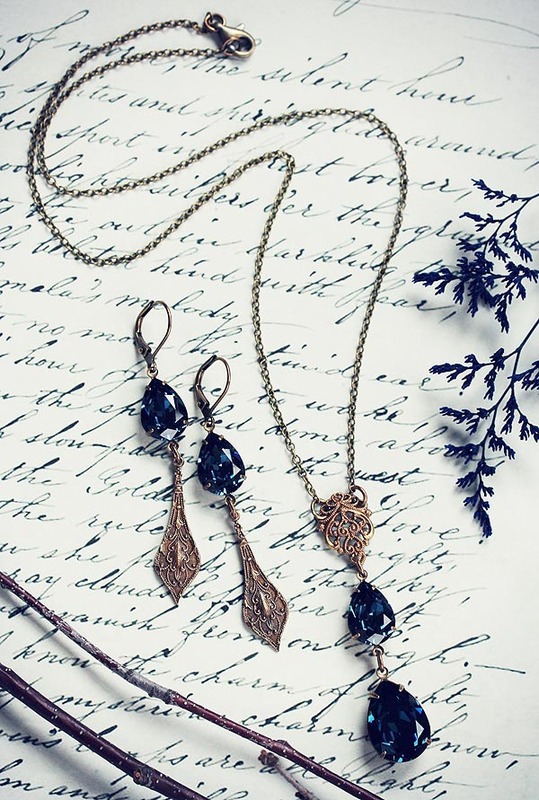 This exquisite Victorian inspired necklace and earrings is both dainty and detailed at once, featuring midnight blue Swarovski crystal pears with antiqued brass filigree stampings. 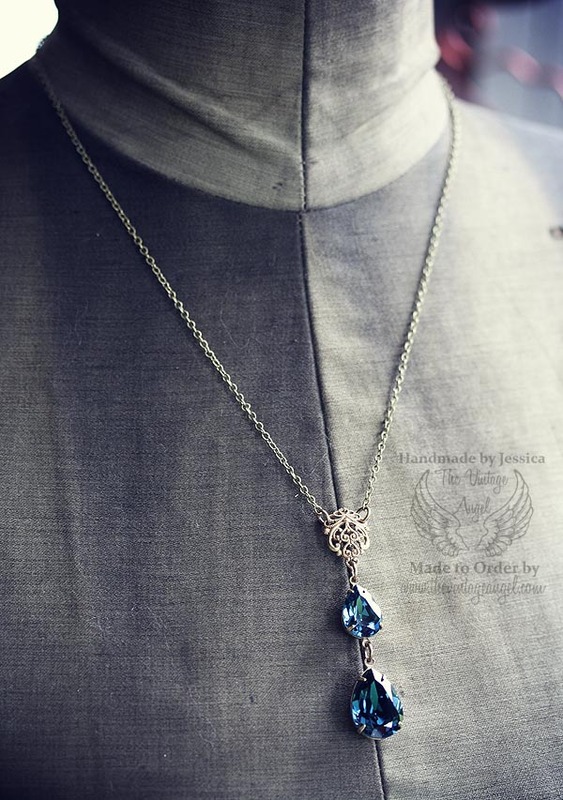 The necklace features a double pearl teardrop assembly hung from a European filigree stamping on dainty 18" long chain with a lobster clasp. 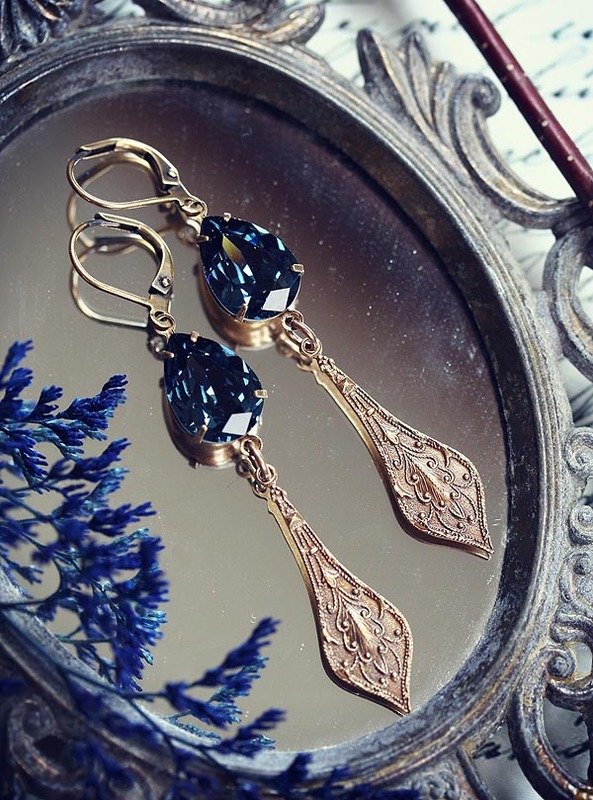 The earrings feature the same midnight pears suspending ornamental stamped antiqued brass teardrops that have been emblossed beautifully. The earrings feature leverback hooks for pierced ears.